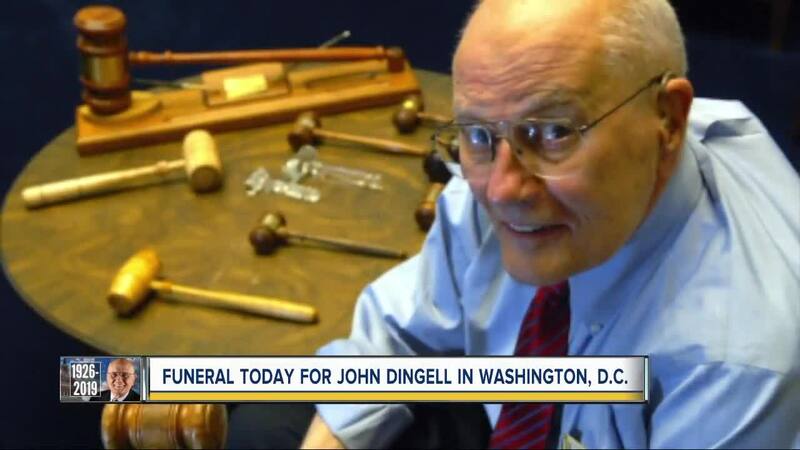 Funeral to be held for John Dingell in Washington D.C.
WASHINGTON D.C. (WXYZ) — Congressman John Dingell's funeral will be held in Washington D.C. Thursday. WATCH THE SERVICE LIVE AT 10:30 A.M. The memorial service will be held at the Holy Trinity Catholic Church, the same church where he married his wife Debbie 38 years ago. 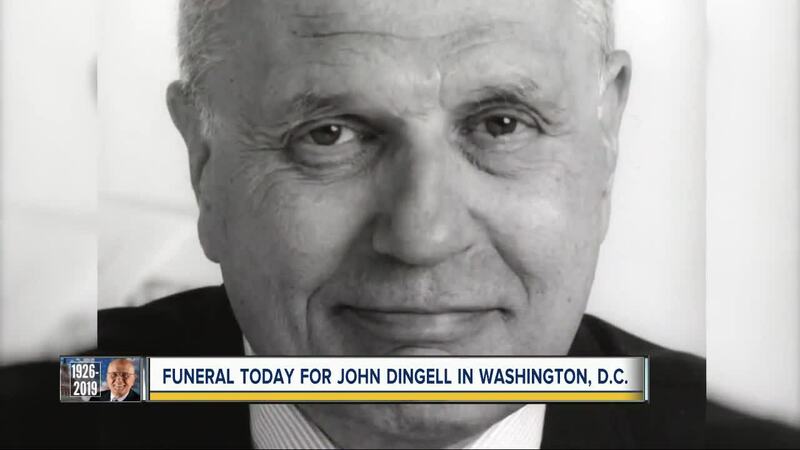 On Tuesday – crowds packed a church in Dearborn to pay their respects to Dingell, and then his flag-draped casket was flown to Washington for one last trip to the U.S. Capitol. 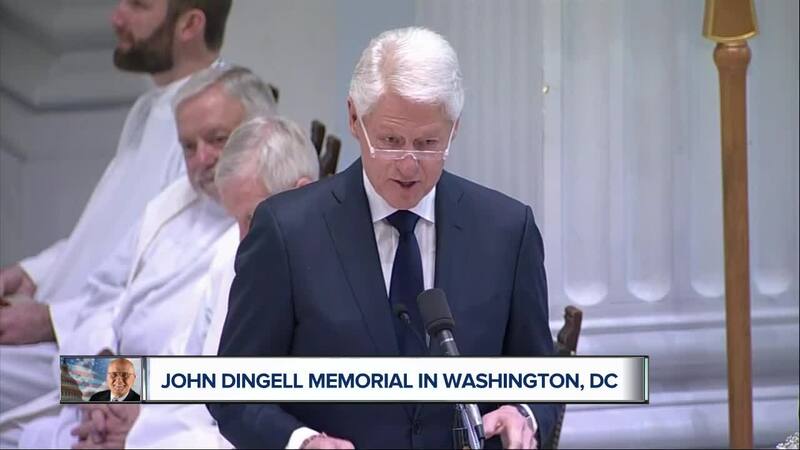 Later this morning, former President Bill Clinton, House Majority Leader Steny Hoyer, Congressman John Lewis, Former Speaker of the House John Boehner and other friends and colleagues will speak about their dear friend, the Dean of the Congress. Senator Gary Peters plans to attend Thursday's funeral for his longtime friend and mentor. "It's kind of hard to think about that actually happening because he's been such a fixture here in Washington D.C. and in MIchigan, and has played such a large role in so much that has happened over many, many decades," Peters said. "He was tough, he was no nonsense, but he also did it with a great sense of humor and that's why people could not help to like him, even if they were in a tough legislative battle," Peters said. "You still liked him."